Residential and commercial plumbers since 1952, they came to LP&G looking to update their image without eroding their well-established brand equity, and develop a more residential focused strategy. LP&G created a new logo with the focus on their familiar "pipe cactus" icon, and gave the company a tagline too. 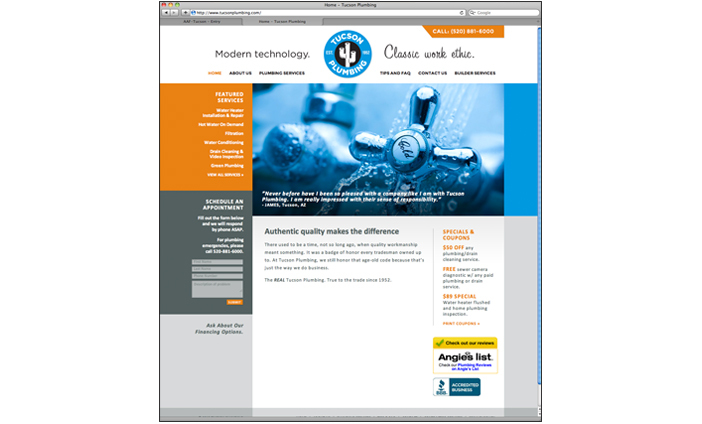 Plus we launched a new consumer-friendly website to showcase their considerable service mojo.